I have been spending a great deal of my fishing time at Lindholme Lakes over the last few months; it has been, and continues to be a constant learning curve. Just when you think you have finally sussed it, it throws some new challenges at you. With this post I hope to help you get the best from your winter fishing, through explaining what I have learnt during this time. As with most commercial style fisheries Carp and F1s tend to dominate, even in the winter period. By refining both your tackle and feeding you can keep the bites coming. even on the coldest of days. Research, is one thing I do before nearly every match I attend, at any venue in both summer and winter. I like to see what pegs have produced what weights, and what methods and baits have been utilised. The internet is a wonderful tool for doing this, especially social media. Lindholme has a Facebook page as do quite a few fisheries, this is a great place to pick up hints and tips. As the fish become less active and more wary, you have to refine your complete approach to tempt the fish to bite. Floats and shotting are an area when personal preference may come into play. My ultimate choice of float for this time of year is the Alan Scotthorne #1 range. These floats offer amazing stability, which is a must for winter fishing. They also have a high visibility tip which is perfect in the poor lighting conditions that can be experienced in the winter months. The shotting pattern I have found that works best is a standard bulk plus 2 droppers. I have tried others, but nothing seems to match the presentation it offers. Hook choice can be another area where personal preference comes into play. I have a personnel favorite which I use for most of my winter fishing, this is the Kamasan B911 F1. The 2 sizes I use more than any others are 18 / 20. This may seem small as seen as you are fishing for Carp and F1s, but considering how refined these hooks are, they are extremely strong and more than capable of handling large Carp. This is a complete minefield and is definitely not an exact science. Fish have different appetites the same as we do. Winter exaggerates this 10 fold. I tend to try and keep bait choices to a minimum. 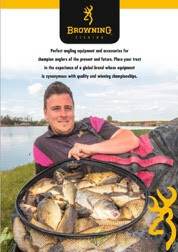 My number 1 choice for winter is 4mm expander pellets on the hook, and micro pellets for feed. At Lindholme if you feed too much the fish will back off and seldom return. All my feeding is done through a small sprinkle pot. I will load the pot with a pinch of micro pellets and tap in 2 or 3 at a time. This is the way I have found produces the best results. Corn and Bread are 2 good alternative hook baits. The Bomb can be one of the valuable bits if kit for this time of year. As the fish shoal up and become reluctant to move, we have to go on the hunt for them. The bomb is the perfect bit of kit for this, as you can cast a single bait all over the swim, looking for tell tale signs that you are in the right area; these tell tale signs could be regular liners, or an instant wrap around. I have found that this combination is the perfect balance of being refined, but strong enough to deal with large Carp. Pellets, corn and bread are the baits which I don't leave the house without at this time of year. The 2 sizes of pellets I use are 4 and 6 mm hard pellets. If I feed any pellets, this is done via a catapult on a very measly basis. This is due to experiencing fish backing off and seldom returning when feeding too much. With regards corn and bread, I use these as single visual target baits. properly. At this time of year I tend to use it with the hook bait on the bottom, whereas in the summer I would use it shallow. It gives you an alternative to the bomb for searching around the swim. I have found that a standard inset waggler gives the best presentation for fishing on the bottom. This type of float is lovely and sensitive, giving you superb bite detection. Fine lines are essential for this as you want to keep a static bait, and thick lines can be affected easily by wind and tow. 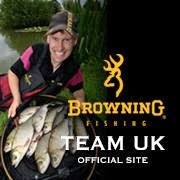 I use a 0.14 (4.0lb) Browning Sinking Match Line on my reel, as this is refined enough to combat the effects of wind and tow yet strong enough to cope with regular casting. The Hook length I use is a 0.12 (3.7lb) Browning Hybrid Power line; attached to this is a size 18 Kamasan B911 tied with a knotless knot, with a hair rigged micro band. Shotting is another important area for waggler presentation. My favorite pattern is having the main bulk locking the waggler into place and having the remainder as dropper shot spread out shirt button style. On the waggler my bait choice will be almost identical to that I use on the bomb. This is due to the fact that on most occasions I will have them both set up together. this gives me the capability of switching between the two in a match, as one could be more productive than the other. Over the current winter period I have enjoyed some good match results at Lindholme utilizing the above refinements, and hope this post goes some way towards helping you improve your winter catches.